What’s New from July for Diabetes & Health Tech? 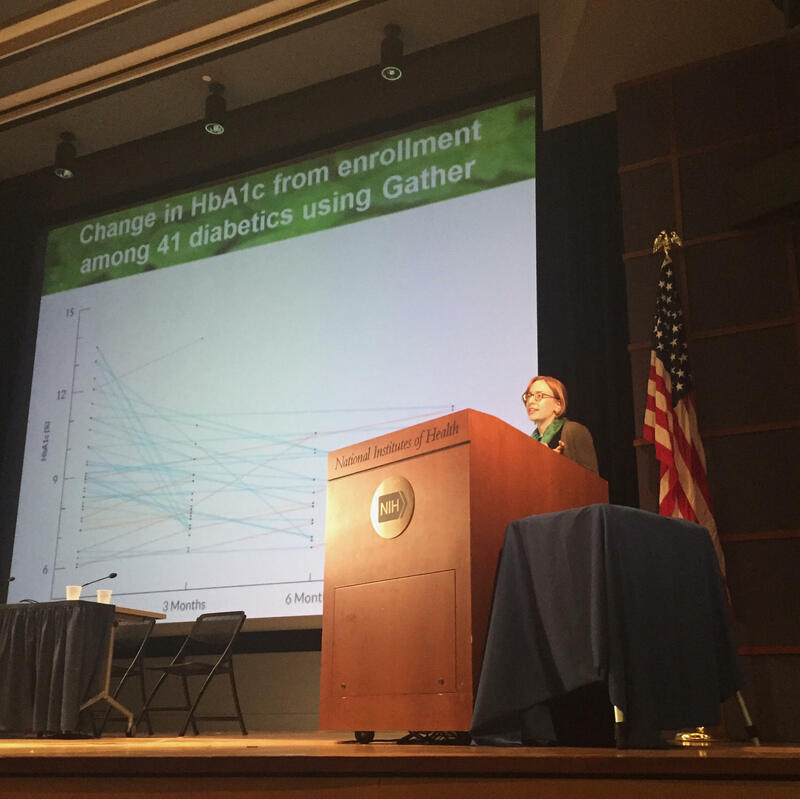 Today, Nora Kleinman presented Gather’s latest outcomes data at the NIH-hosted Wireless Health conference. The analysis focused on all Gather’s commercial users with multiple HbA1c readings in the system. Among these 41 people, we found baseline HbA1c ranged from 6% to 13.5%, with an average of 9.4%. After 3 months on the platform, HbA1c had dropped an average of 1.35 points. This change is both statistically and clinically significant and was maintained out to 9 months. Although this is a small subset of our users, they match our previous analyses demonstrating decreases in mean blood sugar. In addition, they’re in line with the robust medical literature on the impact of telemedicine systems on blood sugar control. Gather is glad to be a part of the effort to build the evidence base for mHealth in diabetes. Keep your eyes out for the completion of our clinical trial this winter and the wealth of data it will bring! Read the full whitepaper here to find out more!